The Daily Gem Bonus: Armor??? Hey Jammers - Your must be thinking "MORE ARMOR?" and yes, it's true. MORE ARMOR has come to the summer carnival. I better pick up stuff, soon, because summer is on it's way out! Here's the Stegosaurus armor! Anyways, You must be wondering when I will announce the winner. Now, of course! Zios, the wise and gifted creator felt inspired to create that day, to create a new animal. 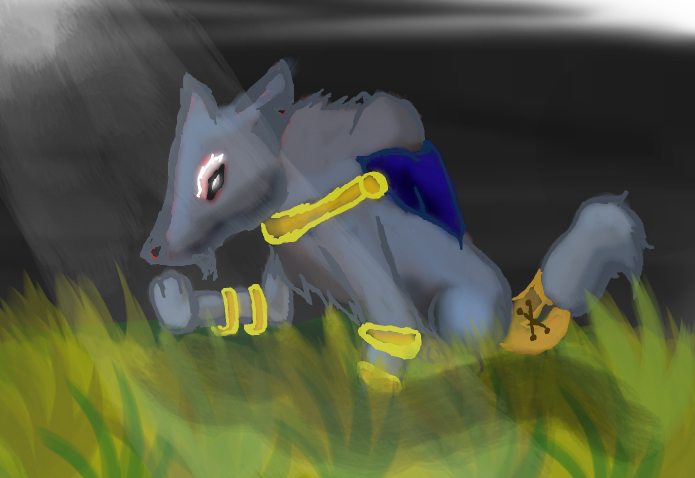 With clay from the river's bottom and his quick and nimble paws, zios soon had made a new animal. 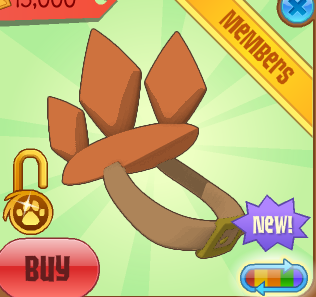 With a flourish of his paws, Zios, the mighty creater, gave the sculpted animal life, and a destiny to fulfill. "I will name you Greely," Zios said affectionately as he gently tickled the newborn animal. "And you are the first wolf." Years later, Greely sat in his chamber, experimenting newfound equipment and inventions. 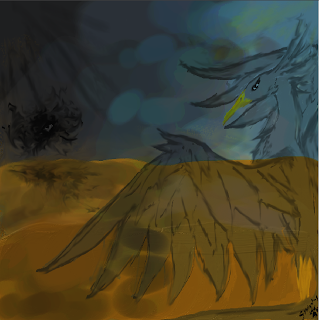 Zios had long gone, and Mira's sadness had caused new darkness to be born, the phantoms. But one night, Greely had seen something beautiful. As Mira's tear fell, he had caught it, and it had become a sparkling red gem. Missing one eye from a previous accident, Greely created a new one out of the gem and gained sight again. Thank you from all who entered! Here are some artwork submitted by other jammers! Well those are some amazing pictures! Be sure to enter next time!